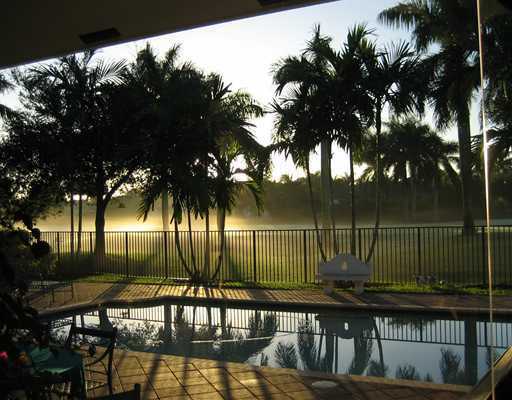 Weston, Florida Real Estate "Weston Hills"
Weston, Florida Presents "Weston Hills Real Estate!" Weston Hills - The community of Weston Hills inside of Weston, Florida seemingly, is the talk of the town for it's glamour and sophistication! According to Bloomberg Newsweek, Weston is the city in Florida with the best increase in value! This fabulous golf course neighborhood offers two exclusively planned 24-hour gated entryways on the north and south sides. Weston Hills embraces sweeping views of its manicured outdoor recreational gounds from stunning golfing views to scenic sparkling lake views and nature preservation views in a private and peaceful atmosphere. Come live where you want to be and experience first hand these spacious Mediterranean homes inside 29 Weston Hills single family residential developments. Embrace the beautified fairway settings and step up to the tee! 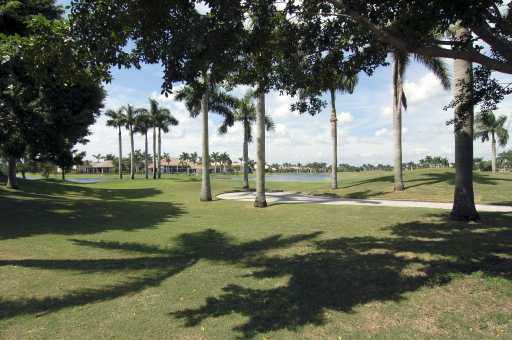 Weston Hills golfing is located along the georgous Robert Trent Signature Golf Course or surround yourself with an enchanting combination of fantastic golf course and stunning shimmering lake views from premium single family Mediterranean style residences. The community of Weston Hills may also feature exquisite residences along lush tropical garden scenery. 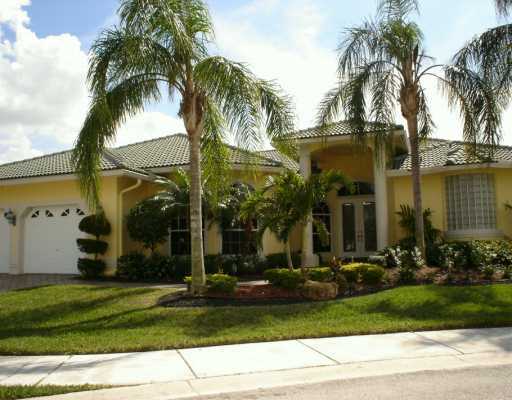 Weston Hills Real Estate offers a wonderful resort lifestyle for families in their own neighborhood. The prestigious community of Weston Hills is home to Weston Hills Golf and Country Club offering recreational amenties and social entertainment for its residents. 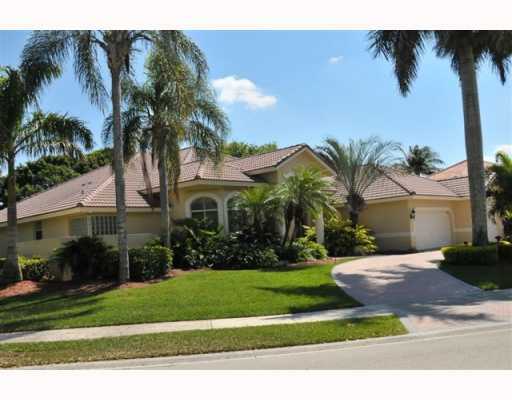 View Weston Hills Real Estate For Sale. Weston Hills Country Club is an extravagant 50,000 square foot club house for relaxing with friends, social gatherings, along with having outdoor activities and amenties such as a tennis pro shop, eight tennis courts, fitness facility and sparkling blue olympic size swimming pool. Weston Hills entertains two18-hole picturesque championship golf courses built around wonderous glimmering lakes and preserves. 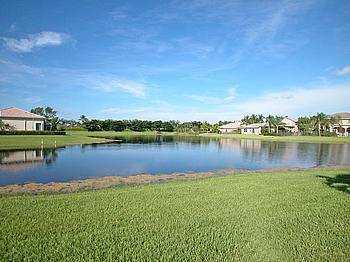 Both golf courses were designed by Robert Trent Jones, and bring a taste of paradise to the Weston Hills community. The acclaimed golf courses are named Tour Course and Players Course. Each of these courses extend over 7000 yards and are sites for beginner golf tournaments. Elegant breathtaking residences inside Weston Hills are designed around two stunning golf courses. Weston Hills has a variety of housing inside the impressive two 24 hour manned guard gated entryways on either end of Royal Palm Boulevard. This wonderfully refined neighborhood of housing comprises golf view properties, lake view and garden view homes. Weston Hills located in Weston, Florida has various desirable villages joined by an inclusive private gateway including: Bay Isle, Bay Pointe, Cypress, Eagle Run, Eagle Watch, Edgewater, Fairways, Grand Oaks, Harbor Pointe, Harbor View, Hunters Pointe, Jardin, The Laurels, Mayfair, Meadowood, Montclaire, Monterey, Oakbrook, Poinciana, Princeton, Provence, The Pointe, Reserve, Retreat, Riviera, Royal Palm, Water Oak, Victoria Isle, Victoria Pointe. View Weston Hills listings for sale. Bay Isle - ( Built in 1996-1998) Nestled among the majestic oak trees, inside Bay Isle Drive and Bay Isle Court in Weston Hills, are the pleasing 50 properties of Bay Isle, a maintained community that includes lawn service, with desirable lake views, magnificent Weston Hill Golf Course back yard views and some amazing residential properties with picture perfect golf views and tranquil lake views. Bay Isle has both one and two story homes, having approximately 2,400 living square feet to over 2,800 square feet of living space with 3 bedrooms and 2 bathrooms, 3 bedrooms and 3 bathrooms, and 4 bedrooms and 3 bathrooms containing 2 car garages. The lots range in size from about 7,400 square feet to over 11,000 square feet. View Weston Hill's Bay Isle Real Estate For Sale. Bay Pointe - ( Built in 1998-1999) This is wonderful maintained community including lawn care, surrounded among grand oak trees. 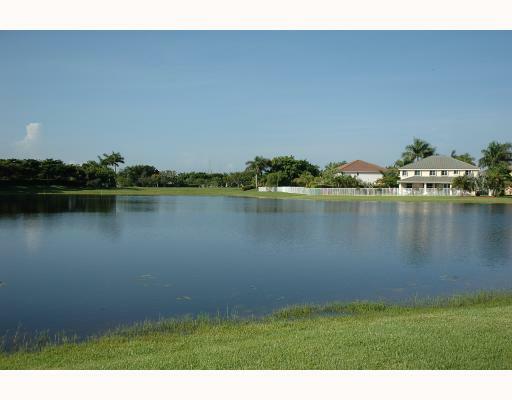 Inside Bay Pointe Court and Bay Pointe Drive in Weston Hills, are the pleasing 51 properties of Bay Pointe painted in beidge with sparkling lake views and peaceful delightful garden views. Bay Pointe has one and two story homes having approximately 2,300 living square feet to over 2,500 square feet of living space with , 3 bedrooms and 3 bathrooms, and 4 bedrooms and 3 bathrooms containing 2 car garages. The lots range in size from about 8,800 square feet to over 10,000 square feet. View Weston Hill's Bay Pointe Real Estate For Sale. 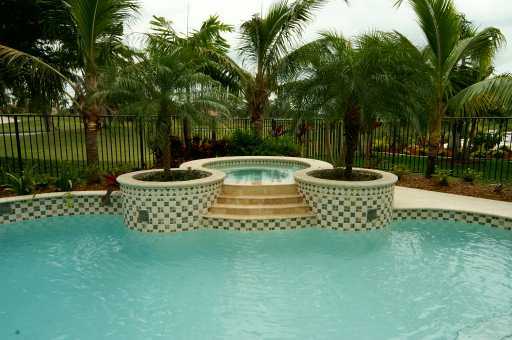 Cypress - (Built in 1994-1995) The spacious and georgous 35 Cypress pool luxury properties situated on Royal Palm tree lined roadways of Cypress Lane and Cypress Manor inside Weston Hills will delight you. Truly amazing golf views, glorious lake views and serene garden views are within the 4 bedroom 3 bathroom, 5 bedroom 3 bathroom, 5 bedroom 4 bathroom residences, 2 car garages and 3 car garages with lots ranging in size from approximately 16,000 to 20,000 square feet. View Weston Hill's Cypress Real Estate For Sale. Eagle Run - ( Built in 1996-2002) This wonderful community of 165 Eagle Run homes is touching the 7th Fairway of Weston Hills Golf Course. Drive carefully through this community as the golf carts pass by the inner roadways. Enjoy your ride in the neighborhood filled with rich Royal Palms positioned along the thoroughfares of Eagle Run Court, Eagle Run Drive, Eagle Run Lane and Eagle Run Way. These elegant properties, mostly with backyard pools consist of one and two story homes, having approximately 2,600 living square feet to over 4,700 square feet of living space with 4 bedrooms and 3 bathrooms to 5 bedrooms and 3 bathrooms, 5 bedrooms and 4 bathrooms,6 bedrooms 4 bathrooms, 6 bedrooms and 5 bathrooms, 7 bedrooms and 4 bathrooms and 7 bedrooms 5 bathrooms with 2 car garages and 3 car garages,with garden views, lake views, or golf views and lots ranging in size from about 9,900 square feet to over 18,000 square feet. View Weston Hill's Eagle Run Estate For Sale. Eagle Watch - ( Built in 1995-1997) Eagle Watch's 68 elegant properties have the distinct pleasure of being positioned on Weston Hills Golf Courses 8th Fairway. Golf carts from Weston Hills Golf course have a direct pathway in this community of wonderful homes. 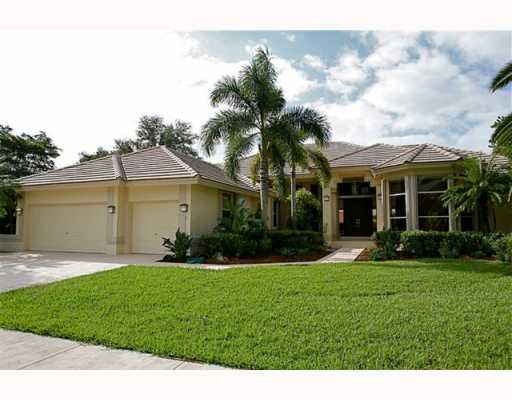 Regal Royal Palms are found inside the roadways of Eagle Watch Drive and Golf View Drive. These elegant properties consist of one and two story homes, having approximately 2,600 living square feet to over 4,000 square feet of living space with 4 bedrooms and 3 bathrooms to 5 bedrooms and 3 bathrooms, 6 bedrooms and 3 bathrooms and 7 bedrooms and 4 bathrooms with 2 car garages and 3 car garages, with garden views, lake views, or golf views and lots ranging in size from approximately 9,600 square feet to over 19,000 square feet. View Weston Hill's Eagle Watch Real Estate For Sale. Edgewater - ( Built in 1994-1996) The Edgewater 68 residences of Weston Hills is superbly appointed with magnificent oak trees inside Edgewater Court and Edwater Drive. A common playground including a white sandy volleyball court, basketball court, and tot lot are a fabulous addition to this neighborhood. Positioned with enchanting lakes and wonderful garden views, Edgewater properties feature one story homes, with approximately 2,600 living square feet to over 3,200 square feet of living space with 4 bedrooms and 2 bathrooms, 4 bedrooms and 3 bathrooms, 4 bedrooms 4 bathrooms, 5 bedrooms and 3 bathrooms containing 2 car garages and 3 car garages. The lots range in size from about 10,000 square feet to over 20,000 square feet. View Weston Hill's Edgewater Real Estate For Sale. Fairways - ( Built in 1992-1993) This Weston Hills neighborhood of the Fairways residential properties is set amid the queen palms path along the roadway. This tranquil prestigious location on Pinehurst Drive with Weston Hill Golf Course back yard views and certain properties with golf views combined with lake views is filled with one and two story homes, having approximately 3100 living square feet to over 6000 square feet of living space with 3 bedrooms and 3 bathrooms, 4 bedrooms and 3 bathrooms and 4 bedrooms 4 bathrooms having light beige painted outside with light beidge and light gray roofs containing 2 car garages and 3 car garages. The lots range in size from about 8000 square feet to over 17,000 square feet. 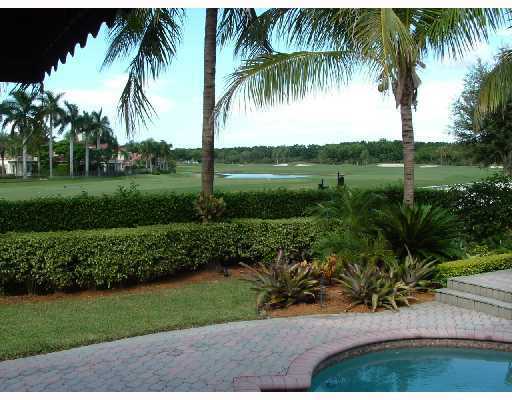 View Weston Hill's Fairways Real Estate For Sale. Grand Oaks - ( Built in 1992-1993) This wonderful community of Grand Oak's 61 homes is right next door to Weston Hills golf course. Enjoy your drive through the community filled with wonderous oak trees, filled with one and two story homes, having approximately 2600 living square feet to over 3000 square feet of living space with 4 bedrooms and 3 bathrooms to 5 bedrooms and 3 bathrooms with 2 car garages, lake views, lake views and golf views or golf views with lots ranging in size from about 9000 square feet to over 10,000 square feet. View Weston Hill's Grand Oaks Real Estate For Sale. 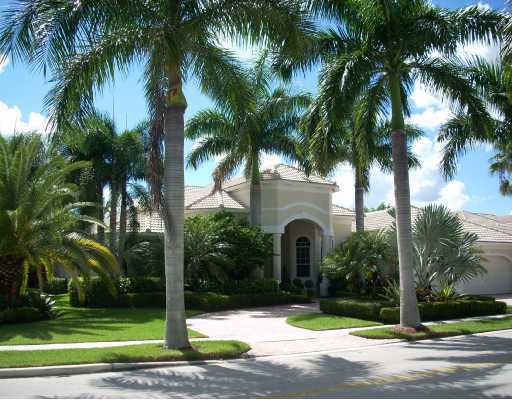 Harbor Pointe - (Built in 2001-2002) Harbor Pointe's spectacular 40 residential properties inside Weston Hills are displayed with magnificent Royal Palms flowing through the front pathways on Harbor Point Circle and Light House Court. These fabulous homes with spectacular lake views and wonderful garden views are filled with one and two story homes having 4 bedrooms 3 bathrooms, 5 bedrooms and 5 bathrooms and 6 bedrooms 6 bathrooms with approximately 2,700 square feet to over 4,300 square feet of living space with pavered driveways, 2 and 3 car garages and lot sizes ranging from 9,000 square feet to over 14,000 square feet. View Weston Hill's Harbor Pointe Properties For Sale. Harbor View - ( Built in 2000-2002) This elegant Weston Hills neighborhood of Harbor View residential properties is appointed with queen palms pathways along Harbor View Circle and Mariners Lane. These 115 tranquil properties encompass glimmering lake views and tropical garden views. Harbor View has both one and two story homes, having approximately 2,000 living square feet to over 3,700 square feet of living space with 3 bedrooms and 3 bathrooms, 4 bedroom 2 bathrooms, 4 bedrooms and 3 bathrooms, 4 bedrooms 4 bathrooms, 5 bedroooms, 4 bathrooms, 6 bedrooms 3 bathrooms, 6 bedrooms 4 bathrooms and 7 bedrooms 5 bathrooms containing 2 car garages, 3 car garages and 4 car garages. The lots range in size from about 7,000 square feet to over 17,000 square feet. View Weston Hill's Harbor View Real Estate For Sale. Hunters Pointe - (Built in1999-2007) This Weston Hills wonderful neighborhood of the Hunters Pointe consists of both Hunter Pointe I on the south side and Hunters Pointe II toward the north side . Hunter's Pointe park features a basketball court and a children's play ground with yellow slides and swings in a white sandy fun area to play in. These fabulous properties overlook relaxing lake views and attractive garden views. Enjoy your drive through the community filled with wonderous royal palms, filled with one and two story homes, having approximately 2300 living square feet to over 3200 square feet of living space with 4 bedrooms and 2 bathrooms, 4 bedroom and 3 bathrooms, 4 bedrooms and 3 bathrooms to 5 bedrooms and 3 bathrooms, 5 bedrooms 4 bathrooms, 5 bedrooms 5 bathrooms, 6 bedrooms 4 bathrooms, 6 bedrooms 5 bathrooms, 7 bedrooms 5 bathrooms. Park your car in a 2 car garage or 3 car garage with pavered driveways.The lots range in size from about 8,000 square feet to over 17,000 square feet. View Weston Hill's Hunters Pointe Real Estate Listings For Sale. Jardin - (Built in 1995-1999) Georgous Mediterranean homes inside Jardin's 93 Weston Hills properties accompanied among a park with a basketball court and toddler playground with wonderful slides and swings.The streets are aligned with Royal Palms towering Jardin Court, Jardin Drive, Jardin Terrace and Jardin Way. Situated on enchanting lakes, located on premier golf course views and set up with wonderful garden views, Jardin properties have both one and two story homes, with approximately 2,400 living square feet to over 4,000 square feet of living space with 3 bedrooms and 2 bathrooms, 3 bedrooms and 3 bathrooms, 4 bedrooms 2 bathrooms, 4 bedrooms and 3 bathrooms, 5 bedrooms 3 bathrooms, 5 bedrooms 4 bathrooms to 6 bedrooms 3 bathrooms containing 2 car garages and 3 car garages. The lots range in size from about 7,700 square feet to over 13,000 square feet. View Weston Hill's Jardin Real Estate For Sale. The Laurels - (Built in 1992-1994) The Laurels luxurious neighborhood of 76 homes inside Weston Hills is quite extensive within the streets of Inverness, Medinah, Westbrook and Wentworth. Enjoy your drive through the community filled with wonderous oak trees, filled with one and two story homes, having approximately 3100 living square feet to over 5000 square feet of living space with 5 bedrooms and 3 bathrooms, 5 bedrooms and 4 bathrooms, 5 bedrooms and 5 bathrooms to 6 bedrooms 4 bathrooms and 7 bedrooms and 6 bathrooms, 2 car garages and 3 car garages with garden views, lake views, lakeviews and golf views or golf views with lots ranging in size from about 15,000 square feet to over 24,000 square feet. View Weston Hill's Laurels Real Estate For Sale. Mayfair- (Built in 1992-1994) Mayfair's marvelous neighborhood of 31 homes inside Weston Hills is an elegant neighborhood with one and two story homes, having approximately 3500 living square feet to over 3800 square feet of living space with 4 bedrooms and 3 bathrooms, 4 bedrooms 4 bathrooms, 5 bedrooms and 3 bathrooms, 5 bedrooms and 4 bathrooms, 5 bedrooms 5bathrooms and 6 bedrooms and 3 bathrooms, 2 car garages and 3 car garages with garden views, georgous shimmering lake views, combination of wonderful lakeviews and great golf views or fabulous golf views with lots ranging in size from about 11,000 square feet to over 15,000 square feet. View Weston Hill's Mayfair Real Estate For Sale. Meadowood - ( Built in 1994-1994) This Weston Hills lake view neighborhood of Meadowood residential properties is set amid the fine oak trees throughout the roadways of this subdivision. This santuary of 58 properties with peaceful lake views and private garden views is filled with one and two story homes, having approximately 2,700 living square feet to over 4,000 square feet of living space with 4 bedrooms and 3 bathrooms, 5 bedrooms and 3 bathrooms,5 bedrooms 4 bathrooms and 6 bedrooms 3 bathrooms containing 2 car garages and 3 car garages. The lots range in size from about 11,000 square feet to over 22,000 square feet. View Weston Hill's Meadowood Real Estate For Sale. Montclair - (Built in 1997-1999) The Weston Hills Montclair community of 56 residential properties encompasses this wonderful neighborhood filled with regal royal palm trees. These fabulous properties with calming lake views in the middle of the development and on the south side, golf views on another side and landscaped garden view complete this elegant community. Montclair has one and two story homes, having approximately 3,300 living square feet to over 4,000 square feet of living space with 5 bedrooms and 3 bathrooms, 5 bedroom and 4 bathrooms, 6 bedrooms and 4 bathrooms to 7 bedrooms and 5 bathrooms with lots ranging in size from about 10,000 square feet to over 22,000 square feet. View Weston Hill's Montclaire Real Estate Listings For Sale. Monterey - ( Built in 1995-1998) Monterey boasts their beautiful properties situated on Weston Hills Golf Courses 8th Fairway. Golf carts have direct access from Weston Hills Golf Course crossing pathways, as the carts grace the spectacular green playing course and glide along the distinguished streets in this secluded community of wonderful homes. The roadways of Monterey are surrounded with refreshing Royal Palms.These Mediterran properties consist of one and two story homes, having approximately 3,100 living square feet to over 4,300 square feet of living space with 5 bedrooms and 3 bathrooms, 5 bedrooms and 4 bathrooms and 6 bedrooms and 3 bathrooms with 3 car garages, with lake views, garden views, or golf views and lots ranging in size from approximately 10,000 square feet to over 17,000 square feet. View Weston Hill's Monterey Real Estate For Sale. Poinciana- ( Built in 1995-199) Poinciana's Weston Hills neighborhood is fronted with royal palm trees path along the roadways. This georgous prestigious location on Poinciana Court and Poinciana Drive has scenic golf views, glittering lake views and delightful garden views. Poinciana's 71 one and two story homes, have approximately 3,700 living square feet to over 5,900 square feet of living space with 4 bedrooms and 3 bathrooms, 5 bedrooms and 3 bathrooms and 5 bedrooms 4 bathrooms, 5 bedrooms 5 bathrooms, 6 bedrooms 3 bathrooms, 6 bedrooms 4 bathrooms and 6 bedrooms 5 bathrooms containing 2 car garages and 3 car garages. The lots range in size from about 14,000 square feet to over 41,000 square feet. 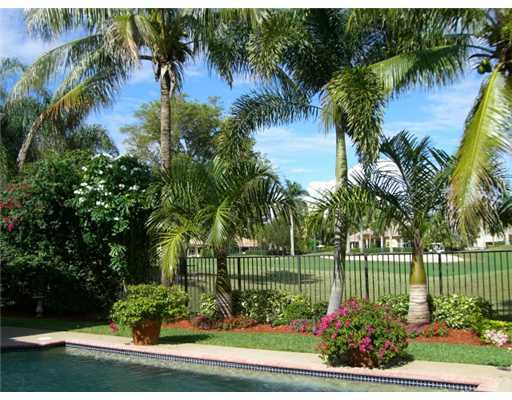 View Weston Hill's Poinciana Real Estate For Sale. Princeton - ( Built in 1994-1997) These Ideal luxury pool properties of Princeton are a piece of the splendor inside Weston Hills Country Club. Envision your drive through Princeton Court covered with refined Royal Palm trees, filled with one story homes, having approximately 3,700 living square feet to over 4,700 square feet of living space with 5 bedrooms and 4 bathrooms, 5 bedrooms 5 bathrooms to 7 bedrooms and 5 bathrooms with 3 car garages, garden views, lake views and golf views or golf views with lots ranging in size from about 14,000 square feet to over 19,000 square feet. View Weston Hill's Princeton Real Estate For Sale. 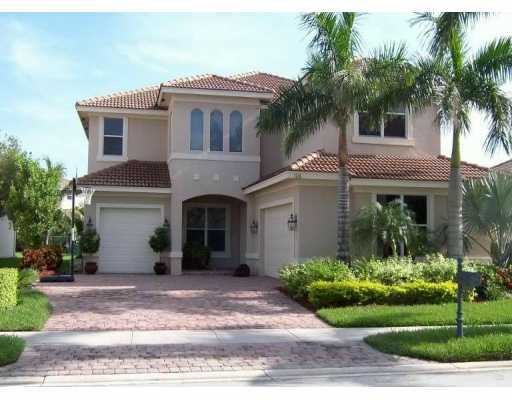 Provence- ( Built in 1998-2001) Truly amazing Weston Hills neighborhood of Provence residential properties is set amid back yard pools and royal palm trees along the roadway. This tranquil prestigious location on Provence Circle and Provence Court allows lake views in the middle of the development, Weston Hills Golf Course back yard views and certain properties with garden views. Provence has one and two story homes, having approximately 3,400 living square feet to over 5,400 square feet of living space with 4 bedrooms and 3 bathrooms, 5 bedrooms and 3 bathrooms and 5 bedrooms 4 bathrooms, 5 bedrooms 5 bathrooms, 6 bedrooms 3 bathrooms, 6 bedrooms 5 bathrooms, 6 bedrooms 6 bathrooms, 7 bedrooms 6 bathrooms and 3 car garages. The lots range in size from about 14,000 square feet to over 18,000 square feet. View Weston Hill's Provence Real Estate For Sale. The Pointe - (Built in 1991-1992) This Weston Hills golf course story book front entryway encompasses this wonderful neighborhood of the Pointe. Once inside, envision these wonderful properties with lake views and golf views. Enjoy your drive through the community filled with wonderous queen palms, filled with one and two story homes, having approximately 2,300 living square feet to over 3,200 square feet of living space with 3 bedrooms and 2 bathrooms, 3 bedroom and 3 bathrooms, 4 bedrooms and 3 bathrooms to 5 bedrooms and 3 bathrooms with lots ranging in size from about 8800 square feet to over 12,000 square feet. View Weston Hill's The Pointe Real Estate Listings For Sale. 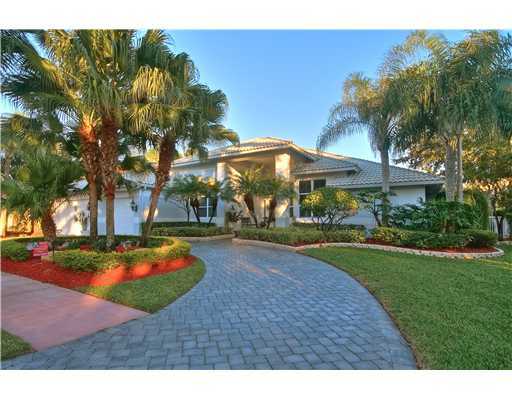 The Reserve - ( Built in 1991-1994) The Reserve's queen palm tree-lined drive of Birkdale and Merion in this exquisite custom neighborhood of Weston Hills is remarkably stunning. Enjoy these exceptional quality homes with golf course back yard views, properties with golf views combined with lake views and garden views filled with one and two story homes, having approximately 4,000 living square feet to over 5,000 square feet of living space with 4 bedrooms and 4 bathrooms, 5 bedrooms and 3 bathrooms and 5 bedrooms 4 bathrooms containing 2 car garages and 3 car garages. The lots range in size from about 14,000 square feet to 18,000 square feet. View Weston Hill's The Reserve Real Estate For Sale. The Retreat - ( Built in 2000-2002) This fabulous Weston Hills neighborhood of The Retreat residential properties greets you with a beautiful waterfall at its entrance way.The Retreat's road way is filled royal palm trees along its enlightening Santuary Drive.These 19 prestigious properties have Weston Hill Golf Course back yard views and certain properties enjoy both senic golf views combined with sparkling lake views. The Retreat is filled with one and two story homes, having approximately 3100 living square feet to over 6000 square feet of living space with 4 bedrooms and 5 bathrooms, 5 bedrooms and 6 bathrooms, 6 bedrooms 5 bathrooms and 6 bedrooms 6 bathrooms conmprising 2 car garages 3 car garages and 4 car garages. The lots range in size from about 14,000 square feet to over 18,000 square feet. View Weston Hill's The Retreat Real Estate For Sale. Royal Palm - ( Built in 1996-2000) Weston Hills exclusive Royal Palm's enclave of georgous properties is poised within the masterful mature Royal Palms trees along a magnificient stretch of Royal Palm Way. 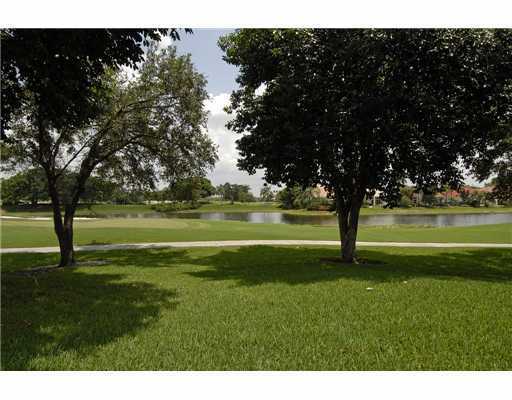 Inside this community you will discover a georgous waterfall in a park setting with a golfing tee. Backyard views of these renowned properties provides the perfect backdrop for Weston Hills signature golf course. The exquisite dwellings are filled with one and two story homes, having approximately 4000 living square feet to over 7600 square feet of living space with 4 bedrooms 5 bathrooms, 5 bedrooms 3 bathrooms, 5 bedroom 5 bathroom to 6 bedroom 5 bathroom, 6 bedroom 7 bathroom homes with 3 car garages and lots ranging in size from about 18,000 square feet to over an acre of land with 48,000 square feet. 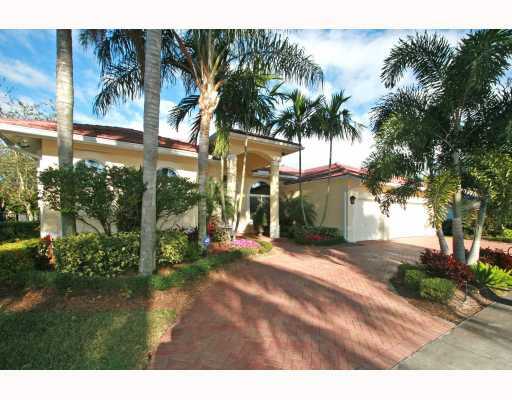 View Weston Hill's Royal Palm Real Estate For Sale. Water Oak - ( Built in 1993-1994) This wonderful community of Water Oak homes filled with beautiful oak trees and encompassing wonderful senic golf views, tranquil lake views and a combination of golf and lake views. These elegant properties, mostly with backyard pools consist of one and two story homes, having approximately 2,600 living square feet to over 4,700 square feet of living space with 4 bedrooms 3 bathrooms to 5 bedrooms 3 bathrooms and 5 bedrooms 4 bathrooms and 2 car garages with lots ranging in size from about 11,000 square feet to over 20,000 square feet. View Weston Hill's Water Oak Real Estate For Sale. Victoria Isle - ( Built in 2000-2002) Victoria Isle's 82 elegant properties are positioned within a park with a basketball court and toddler playground with red and yellow slides and swings amongst beautiful lake views and manicured garden views. These elegant properties consist of one and two story homes, having approximately 3,500 living square feet to over 5,600 square feet of living space with 4 bedrooms and 3 bathrooms, 5 bedrooms and 3 bathrooms, 5 bedrooms and 4 bathrooms and 6 bedrooms and 5 bathrooms with 3 car garages and lots ranging in size from approximately 13,000 square feet to over 23,000 square feet. View Weston Hill's Victoria Isle Real Estate For Sale. Victoria Pointe - (Built in 2000-2001) Georgous Mediterranean homes mostly with backyard pools inside Victoria Pointe's Weston Hills properties accompanied among a park with a basketball court and toddler playground with slides and swings. Royal Palms trees are towering the streets of Victoria Pointe Circle and Victoria Pointe Lane. Victoria Pointe properties have both one and two story homes, with approximately 2,500 living square feet to over 4,200 square feet of living space with 4 bedrooms and 3 bathrooms, 4 bedrooms and 4 bathrooms, 5 bedrooms 3 bathrooms, 5 bedrooms and 4 bathrooms and 5 bedrooms 5 bathrooms containing 2 car garages and 3 car garages. The lots range in size from about 9,500 square feet to over 19,000 square feet. View Weston Hill's Victoria Pointe Real Estate For Sale.